There is a reason Copenhagen is Denmark’s most populated city – Because it’s the most magical. Offering unique places to visit, with comfort filling every space, this city is full of life every corner you turn. From the home style cafes and restaurants, to the delicate architecture that fills the streets, Copenhagen welcomes the smile that graces your face the moment you step into the city. This place never fails to produce a colourful meal, and what compliments them beautifully are the rustic wooden tables. This cafe feels like a home and one you wouldn’t want to miss. There are three locations in Copenhagen to find them and they even have services including delivery and a chef at home. 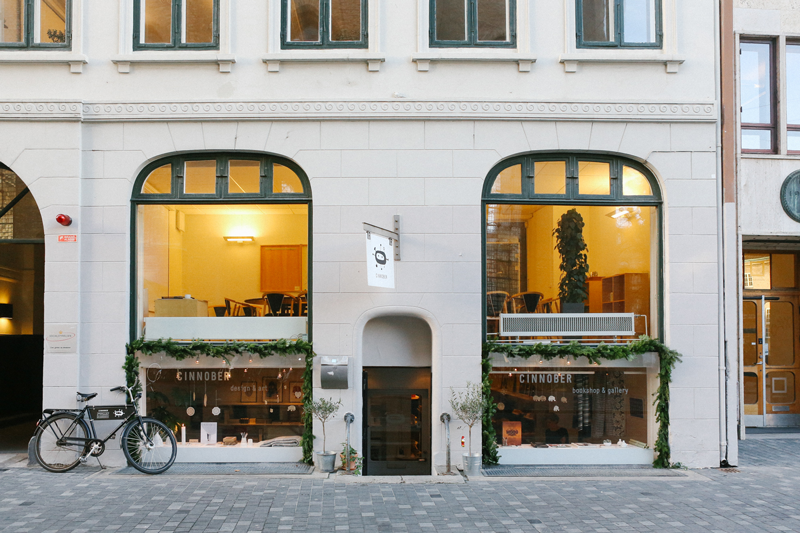 The Coffee Collective has three locations in Copenhagen, all very different. One is apart of the fast paced Torvehallerne market, another feeling like a little coffee lab with an open kitchen and the last (our favourite) a big warm cafe, with the brewery on the other side of a see through glass wall. The Coffee Collective pay their farmers an amount they think is fair and have a personal relationship with them. They have many types of coffee available and will happily tell you their story if you’re interested. Kompa’ 9 is a sweet little cafe that feels like you’ve been invited to a tasteful Danish persons home, that is cozy and offers food that make your taste buds happy. Kompa’ 9 believes that simple and tasty food is key and that sustainability is important. They even consider the chocolate they use the best in the world. We met our dearest friend Signe there and we spent some good time together. An italian influenced restaurant serving breakfast through to dinner. Local produce and a combination of italian and danish cuisine represent Mirabelle perfectly. If the smell of fresh pastry from their bakery isn’t enough to lure you in, the relaxed and intimate atmosphere won’t let you down. Did i mention that this restaurant is organic? If you’re looking for a romantic dinner or something intimate with some close friends, Host will be just that... and a perfect one too. With the mix of dim lighting and concrete walls, this restaurant is something special, and one that offers food both for your mouth and eyes. Just like their architecture, they mix traditional Nordic food with contemporary cooking styles. Almanak is where we ate one of the best meals we’ve ever had. Along the water and with a view of the open kitchen, you can watch your meals being made with patience and once they are served, the chef explains his creation. The interior design is also outstanding. 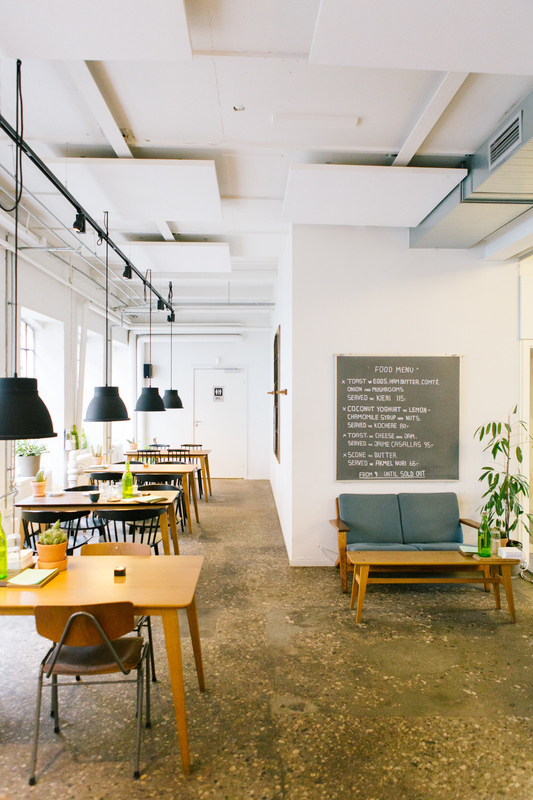 Almanak is apart of The Standard, a collective with the Almanak the restaurant, a jazz club and a creative studio. 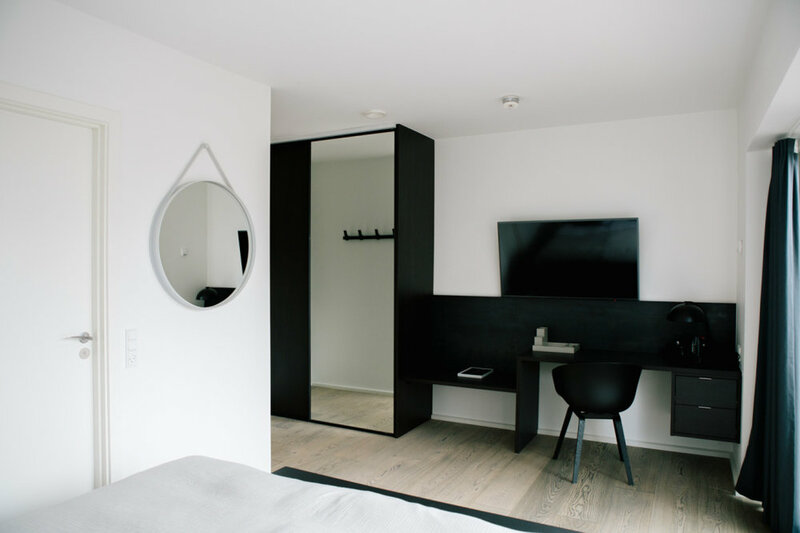 CPH Studio Hotel offers quiet and cosy minimalistic rooms, perfect for a short stay. A downstairs gym, restaurant for breakfast or dinner swell as a sitting area to relax. The Hotel is situated just a 4 minute walk from the train station, or if you want to feel like a local you can hire a bike from reception! 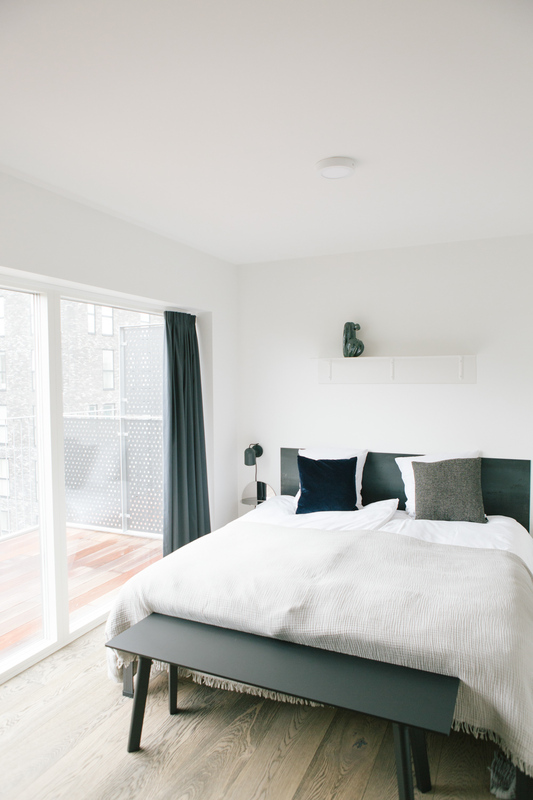 If you want to stay somewhere cool in Copenhagen, this is the place. Neutral colours and simplicity create an atmosphere that makes you feel like you’re staying in a well designed home with trend, with the convenience of a place downstairs that serves burgers from home made ingredients, as well as a very happy hour from 5pm-6pm where complimentary vino is on the menu. If you love plants, trees, posters and cool garden decor this is the place for you! It’s a small magical shop with hanging greenery filling the space, selling lots of goodies for the green thumb and those who just appreciate nature. No. 40 is a unique vintage and clothing store, offering new clothes on trend and cool collectables from forever ago. The shop is set out on three levels, each with the mix of both old and new, and even a little room underground with carefully picked items. This place is a must when visiting the city! Full of Scandinavian design and minimalistic homewares, Dansk offers a beautiful collection of items for the home, from furniture to coffee table books, kitchenware to soap. We were left feeling like we wanted to build a house and fill it with everything Dansk! Beautiful, tasteful designs and furniture are sold at Hay House, a shop that sells durable quality furniture at a price that allow many people to enjoy the well thought out products. 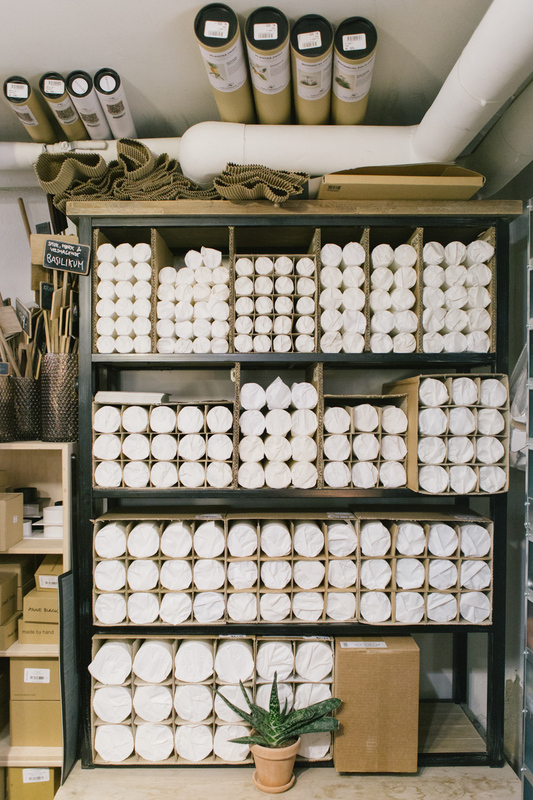 The shop has a fresh feel and it’s contemporary objects help make the experience of a visit well worth it. Situated in the centre of Copenhagen, step down into Cinnober, a shop for stationary lovers and those who appreciate a good design book. Hanpicked items fill the space and offer your eyes something pretty to look at. Perfect for a day of wondering around the city and leaves you wanting to write letters to your friends. Grundtvigs Church is defiantly one of the most spectacular churches you could visit. Made with cream brick and filled with simple wooden chairs, the design tells it’s own story. As soon as you turn the corner on the street, the 76 metre church becomes impossible to miss. Visiting your favourite magazine head office already seems like a dream in itself, but when we walked around Kinfolk it was even more than that. The space is filled with carefully picked furniture and items that match the aesthetic of the magazine and you instantly feel the delicate good taste when you walk through the door. Historically beautiful architecture welcomes you as you start to walk up the oldest functioning observatory in Europe, The Round Tower. Offering insightful views inside and out, the tower consists of a 209 metre walk in a spiral form, And once you get to the top, you are graced with a 360 view of unique Copenhagen. 1874 was the year this beautiful glass house at the Copenhagen Botanical Gardens was built.Offering 10 hectares of gardens, this place is a must see. The gardens have more than 13,000 species living within and contains pathways, ponds and various greenhouses. A perfect spot to immerse yourself in nature.